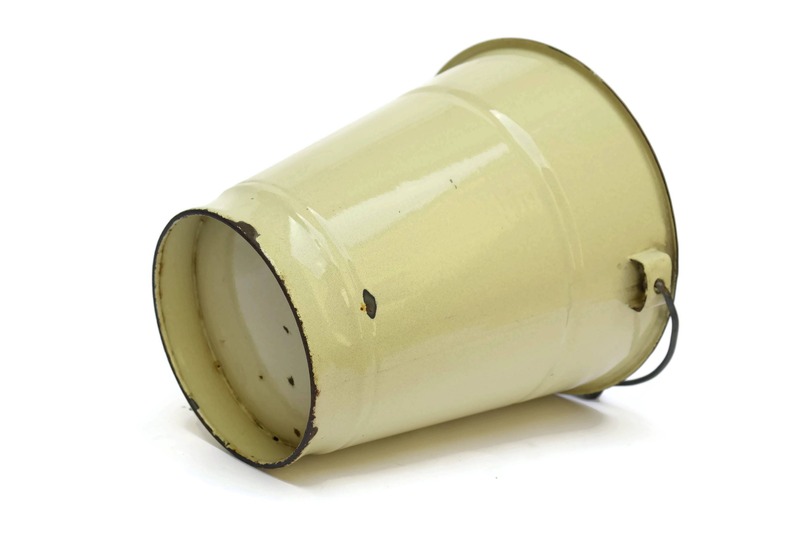 French Enamel Beige Bucket. Rustic Kitchen Bin. 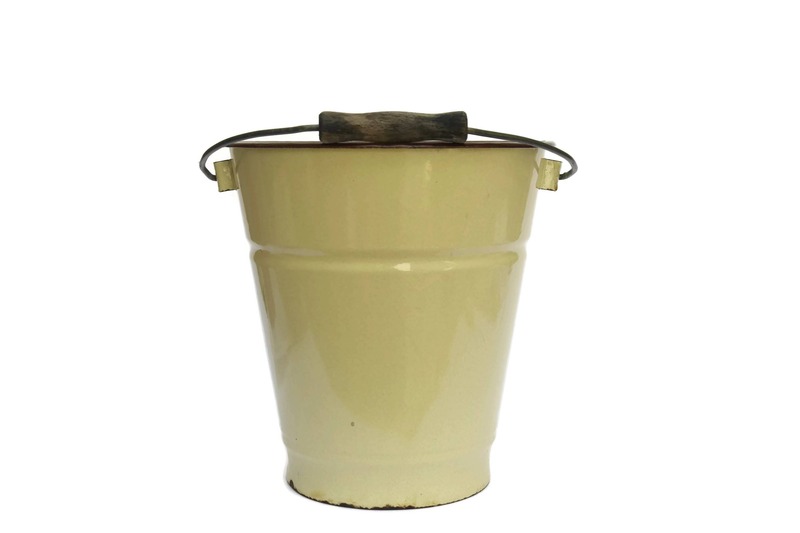 French Vintage Enamelware Water Pail. 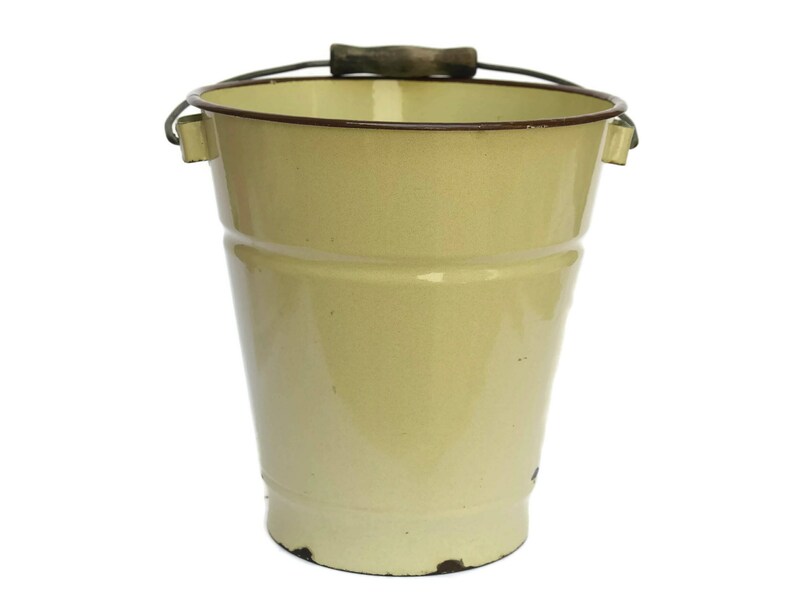 A charming vintage French enamelware bucket dating to the 1930's. It features a metal and wood carrying handle. 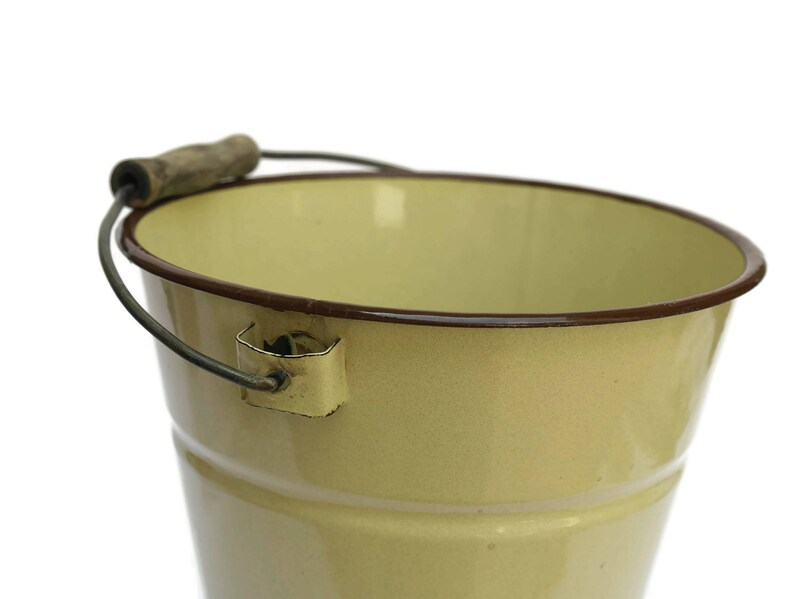 The bucket is a shade of beige and the rim is decorated in contrast brown enamel. 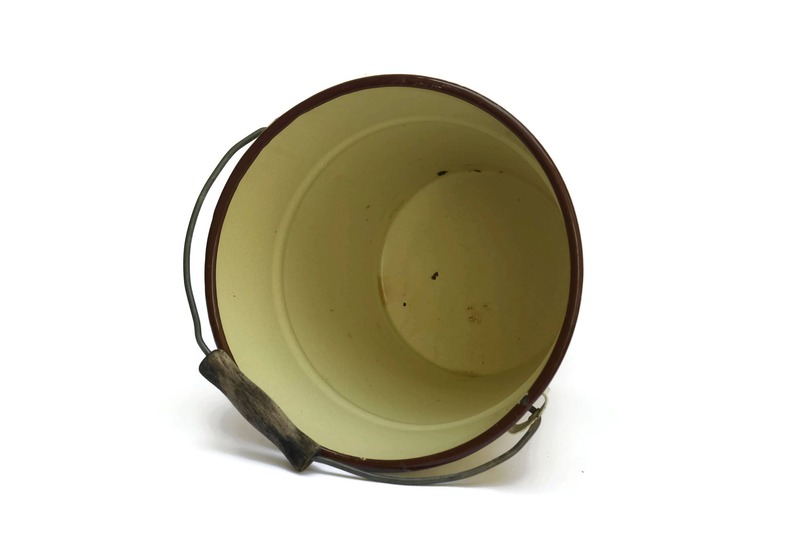 The bucket is in good vintage condition with signs of wear including small chips to the enamel on the surface and rim.